Dr. Jaime S. Schwartz in Beverly Hills, CA is pleased to offer BOTOX® to clients to help them age gracefully. This injectable treatment offers outstanding results and is very commonly used among both women and men. BOTOX® can make a significant improvement to dynamic lines on the face, which are made from expressive movement from the contracting muscles on the forehead and around the eyes. 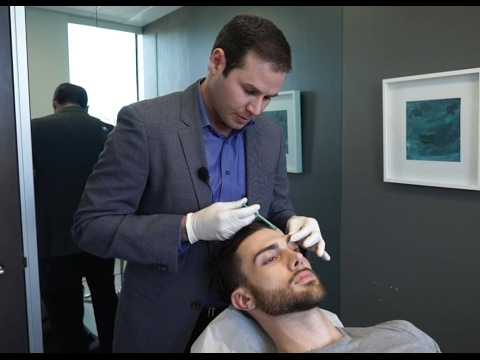 The muscle relaxer BOTOX® is a clean and purified strain of type A botulinum toxin that temporarily freezes the movements of the facial muscle. These facial lines go away when the face is relaxed, but dynamic folds can still remain. To soften these static wrinkles, Dr. Jaime Schwartz will carefully inject BOTOX® to smooth the skin. BOTOX injections are most commonly administered between the eyebrows, around the eyes to prevent Crow's feet, and across the forehead. BOTOX® treatments are completed as an outpatient procedure conveniently at our office. If it is your first time visiting our office in Beverly Hills, CA for BOTOX®, we commonly perform the treatment on the same day as your initial consultation with Dr. Schwartz. You will be asked to make a few expressions with your upper face, like frowning, squinting, smiling, etc., to help us to determine where the injections are best placed. 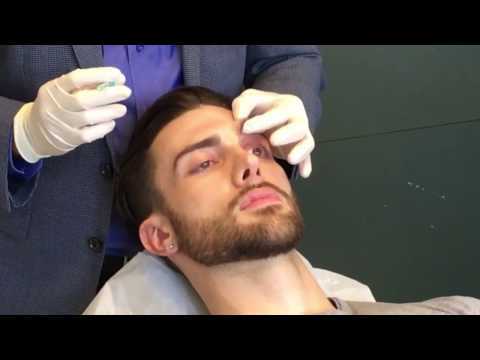 The face will be prepared and BOTOX® will be applied with a fine needle, followed with gentle compressions to help reduce bruising, swelling, and discomfort. BOTOX® treatments typically take around 10 – 15 minutes, then you are able resume to your usual routine with no required recovery period. "Dr. Schwartz has assembled an amazing team. Chelsea and Dawn walked me through the latest and most cutting edge procedures available for non-surgical rejuvenation. Their knowledge of each treatment and its results were spot on. My results were even better than I had imagined. An added bonus, Chelsea is an artist with Botox." "I highly recommend Dr. Schwartz at the Roxbury Institute. I decided to see him for a consult based on a friend's recommendation who had a beautiful outcome. He is incredibly knowledgeable and genuine. He really took the time to understand what my goals were and answer all my questions. I ended up having a nonsurgical procedure and was treated by Chelsea Hagopian, Nurse Practitioner. She is absolutely fantastic. The procedure was a breeze thanks to her! This might be the friendliest plastic surgery office I have ever been in. The staff are incredibly kind, in a very genuine way. I will certainly be returning!" Following the procedure, you may get back to your usual routine right away, although strenuous activity should be skipped for a minimum of one day. You will be advised to sleep with your head elevated for at least one night and to avoid touching your face. In many cases, it often takes around one week before the final results of BOTOX® can be seen. The results usually last 3 – 4 months. You can talk to your BOTOX® injector about when to make your next appointment to extend your results. BOTOX® injections are great for patients who wish to soften the visible look of dynamic lines and wrinkles on their upper face without surgery. 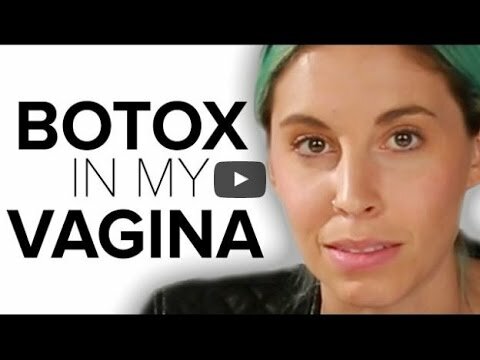 BOTOX can also be used as a preventative anti-aging treatment even if you do not show signs of aging — keep in mind how often you find yourself making facial expressions. It's a terrific noninvasive treatment if you are frustrated by forehead wrinkles or parallel lines between the brows. It is also a solution for lines around the eyes. If you experience more severe and deeper lines, a filler product may be more suitable. In addition, if you are over the age of 50 with sagging skin and widespread wrinkles, you may be considered for a facial cosmetic surgery that will deliver a more impactful result that is longer lasting. Dr. Jaime S. Schwartz offers eyelid surgeries and brow lifts as effective options.